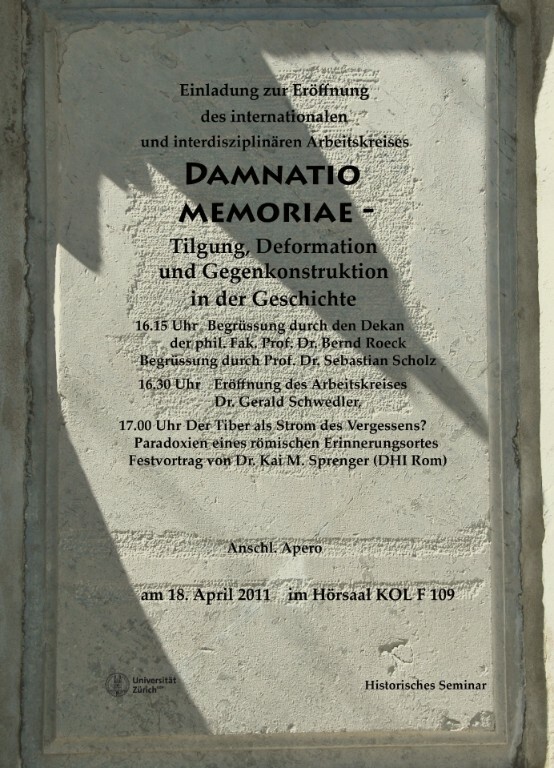 Damnatio memoriae has been widely studied in the Roman world, but almost exclusively as a process of destroying and defacing images and of removing names from honorific inscriptions, that is as a physical and destructive process. Yet the bounds of human memory and the aim of these sanctions stretched far beyond physical memorials. 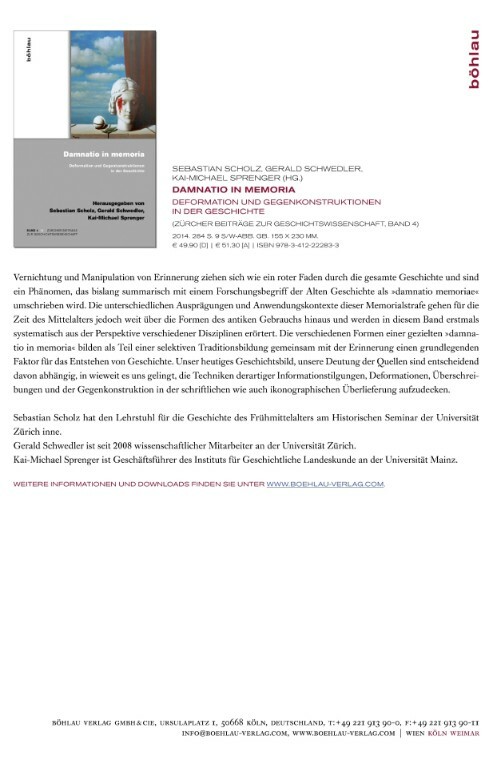 It has been the effort of a number of scholars, including two of the participants in this conference, to broaden our understanding of this damnatio memoriae beyond the current disciplinary strictures under which it operates, and to engage with sanctions against memory in terms of more universal notions of cultural memory and of taboo in human societies. This conference will be the next step in that process. During this conference, we will therefore seek to chart instances of the conscious and intentional attempt to supress memory – however conceived – in the Roman world, in the post-Roman West, and in the Byzantine East across the period now called Late Antiquity (c. 200 – c.800 AD). The focus of the conference is firmly comparative and interdisciplinary. Invited speakers comprise a number of senior figures with specialisms spanning our stated chronology, and we will bring together classicists, Byzantinists, and medieval historians, as well as drawing together individuals who work on textual material and on physical artefacts. In the field of memory and its suppression, these disciplines typically work independent of one another – we seek to break that pattern. Above all, this conference will bring together an interdisciplinary group of scholars not confined to a single regional, chronological, or cultural focus in order to explore the universality of social interaction with memory. Vergessen ist nicht nur ein unbewusster Vorgang, sondern es kann als bewusster Steuerungsmechanismus benutzt werden. 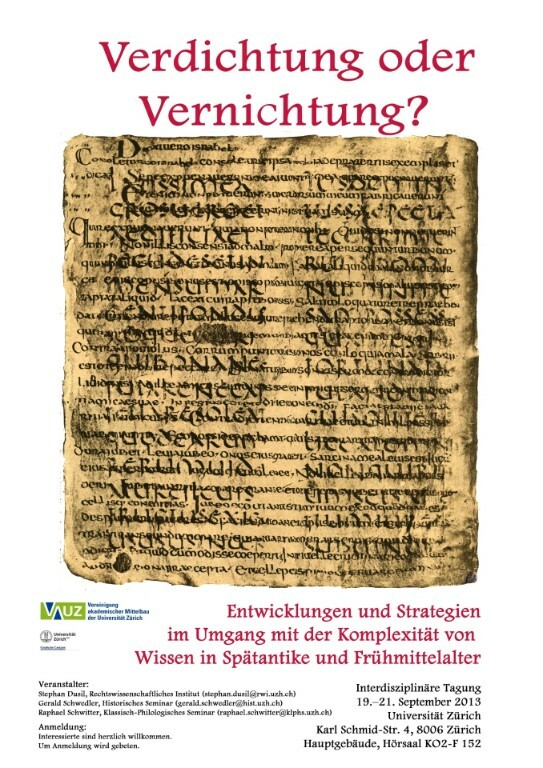 Auf der Tagung geht es darum, theoretische Konzepte und methodische Herangehensweisen zum mittelalterlichen Umgang mit Geschichte als kreativem Vergessen weiterzuentwickeln und fruchtbar zu machen. Gerade im Bereich der Frühmittelalterforschung ermöglichen derartige Neuperspektivierungen, die kreative Gestaltung und Umgestaltung von Erinnerung im Mittelalter zu verstehen. Organisation: Carmen Cardelle de Hartmann und Fabian Zogg.